The Chair traces its history from the founding of the University on October 16, 1919. At first it was the Chair of the Russian Language, then it became the Chair of the Slavic Languages, and now it is the Chair of the Slavic and the Germanic Languages. During the time thousands of philologists and scholars were trained by the lecturers. Nowadays the Chair consists of 15 lecturers, including 8 Candidates of Philological and Pedagogical Sciences, Associate Professors. 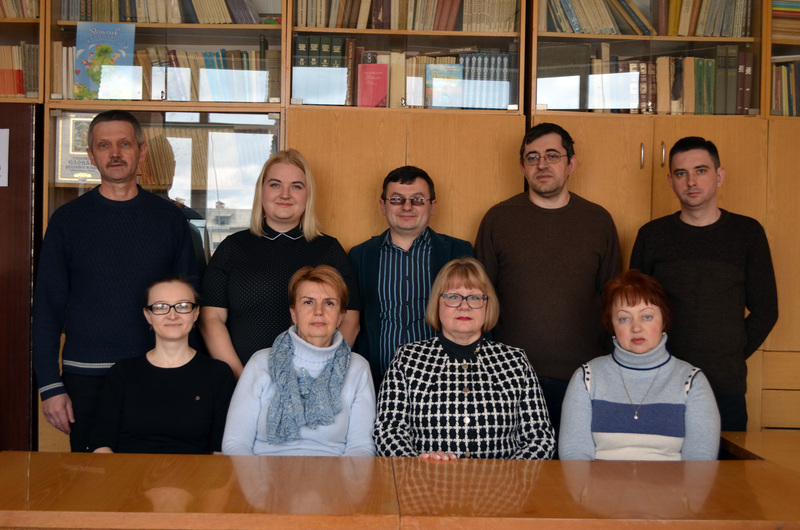 The lecturers of the Chair of the Slavic and the Germanic languages provide the educational process in the ESI of Philology and Journalism and teach 36 normative and selective disciplines and special courses of professionally-oriented training. fundamentals of vocational training of the English language (Associate Professors O. L. Bashmanivskyi, S. B. Morkotun).